It appears that cracking the PS3 is about six different shades of illegal, and Sony isn't going to stand for it for a moment longer. Sony isn't just using technological tools to fight piracy; it's also getting litigious. Following the circumvention of pretty much every security measure the PS3 had - culminating in the root key for the console appearing online - Sony has sued George "GeoHot" Hotz and the Fail0verflow hacker group. Sony's core complaint is what you'd expect: That Hotz and Fail0verflow's actions are illegal and have done significant harm to the company. 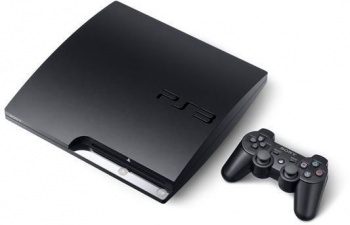 Sony has grouped all the defendants together, alleging that they used elements of each other's work in order to crack the PS3, as well as working directly in concert. According to documents filed with the court, the defendants have, among other complaints, violated the Digital Millennium Copyrights Act, the Computer Fraud and Abuse Act, and contributed to copyright infringement. Sony is seeking an injunction against the defendants, which would prohibit them from cracking the PS3 and from distributing any software or other materials that might enable others to do it. Not only that, Sony wants anything used in the cracking of the console - things like computer hardware, hard drives, and even the code the defendants used - impounded and destroyed. Finally, Sony wants any money that the defendants have made through the cracking of the PS3, or distributing cracked firmware or similar materials. To this layman's eyes, Sony's case seems pretty solid, but even if the company is successful in securing an injunction against Hotz and Fail0verflow, it's unlikely to put a major dent in PS3 piracy. The defendants may have gained some notoriety over the last few weeks, but they are hardly the only people working on cracking the PS3. Until Sony fixes the security problems with the console - which it claims it is able to do - it's going to have a piracy problem on its hands, and lawsuits aren't going to stop it.